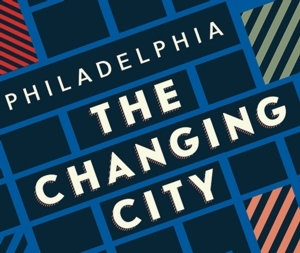 Thu, March 14, 2019 3:00 P.M.
Come and learn about our city’s exciting, dynamic, and often forgotten history with a guided tour of Philadelphia: The Changing City exhibition. The tour will be led by an exhibition curator in the Dietrich Gallery in the Rare Book Department, which is located on the third floor of the library. This is a free, ticketed event through Eventbrite, but reservations are required. To reserve your spot, please click here to reserve you ticket. From river to skyline and stoop to stoop, Philadelphia has been re-formed and re-shaped throughout its history. Its transformation from bustling port to workshop of the world to World Heritage City and hub for education, medicine, and entrepreneurship has had a profound impact on both its built and natural environments and the lives of those who call it home. Images of the city drawn from 300 years of prints, photographs, documents, and maps in the Special Collections and Research Departments of the Parkway Central Library reveal the planned and unplanned changes that have affected Philadelphia's landscape, its buildings, and its inhabitants. The exhibition is on display until April 13, 2019.